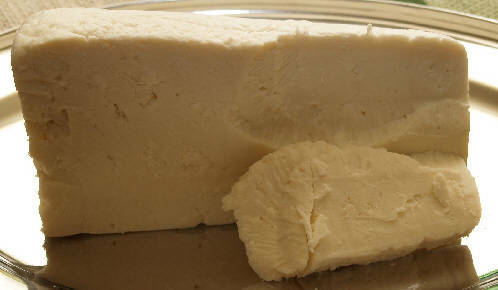 Anthotyro is a white whey cheese, a variation of and similar to myzithra, made from sheep’s and goat’s milk. Like myzithra, anthotyro comes in a soft, fresh version that has a light lemon flavor, and in dryer (aged) form (photo) which is semi-hard and saltier. Soft anthotyro is often called the Greek cream cheese because of its taste. It is more granular in texture. 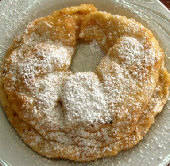 It is traditionally used as a table or dessert cheese and as an ingredient in stuffed pies (pitas). It goes well with fruits such as figs, pears, and apples. Aged anthotyro is used as a grated cheese in egg, potato, and pasta dishes.